I want to have another meetup on November 12, 2011 at Caribou Coffee, from 9:30 – 11 a.m. You might want to subscribe to this blog, or follow me on Google Plus or Twitter to get last-minute details before the meet-up. RSVP here in the comments or through the public event page at Facebook. We already have five people committed to coming! 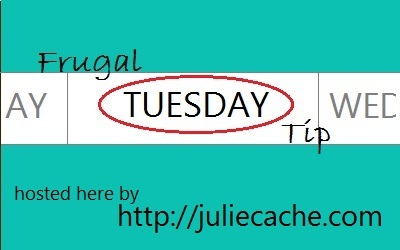 And now for the Frugal Tuesday Tip! Let’s share our frugal tips. Anything that you do in a frugal way can be included — food, crafts, clothing shopping. Almost everything can be done for less.